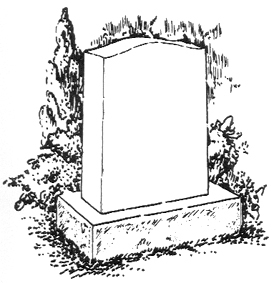 The Headstone is a small vertical tablet, commonly called a colonial Headstone. 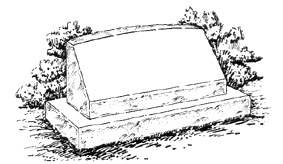 It is used to identify a single burial plot, as well as a double plot in some cemetaries. 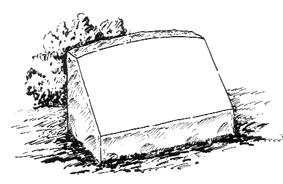 The individual Grass Marker (left) and Bevel Top Hickey Marker (right) are used to identify individual burial plots, and are used in association with a Family Monument. The Grass Marker sits flush with the ground while the Hickey Marker is raised above ground. 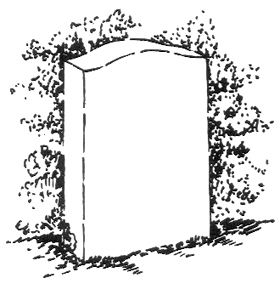 The Double Flush Marker and Double Hickey Marker are used for two grave burial plots, ie husband and wife, side by side, embracing the burial plot. 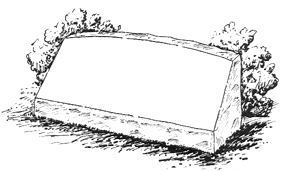 A Double Slant Face Marker on a base. 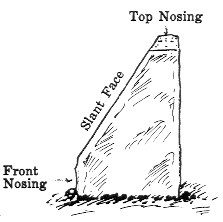 The Western Style Slant Face Marker on a base. The Western Style has no front nosing. 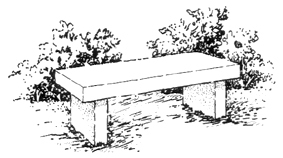 The Bench consists of a top piece, supported by two standards. 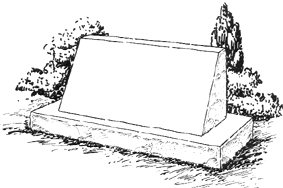 Used to identify family burial plots or used in conjunction with a family monument.